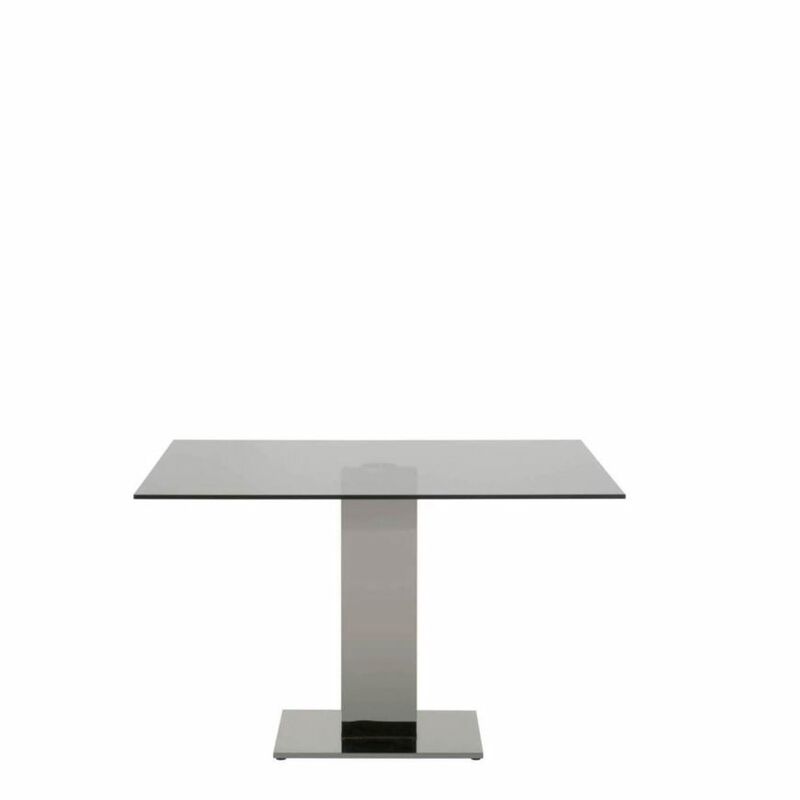 The BEIJING Dining Table features a single pedestal base and a rectangular glass top. The black steel finish for the base along with the smoke grey clear glass provides a edgy and sharp look. This table packs a punch in terms of design but does not take up much room making it ideal for smaller spaces that still want to make a statement.